Get the children involved and help them to understand what Remembrance Day is all about with our collection of Poppy Day colouring pages, classroom printables, crafts and activities, suitable for the classroom or home. We've tried to provide activities that span a wide range of ages below. Remembrance Day, or Poppy Day, is held in Commonwealth countries to remember members of the armed forces who have died in the line of duty, as well as all those who have been involved with and affected by war and conflict. Originally declared a special day in 1919 by King George V to remember the soldiers killed in the First World War, now we remember soldiers from all wars who have given their lives. As the First World War was formally declared over "at the 11th hour on the 11th day of the 11th month, we traditionally hold two minutes of silence throughout the Commonwealth on 11th November every year. 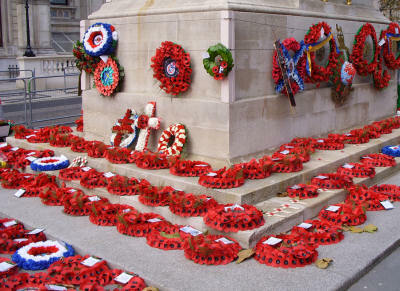 In addition, the second Sunday of each November is known as Remembrance Sunday, and church services remember our fallen soldiers while the Queen, members of the Royal Family, politicians and old soldiers lay poppy wreaths at the Cenotaph in London (near the Houses of Parliament). Leading up to Remembrance Day and Remembrance Sunday we buy small paper "poppies" to show that we are remembering the sacrifices of those who died, and also to raise money to support serving and ex-Service personnel and their families. People who have lost a loved one in service put small wooden crosses near war memorials around the country, and local branches of the Royal British Legion lay wreaths. In 1938, a legal holiday was established in the United States on 11th November, "dedicated to the cause of world peace and to be hereafter celebrated and known as 'Armistice Day.'" In 1954 the name of the holiday was changed to Veterans Day, and it became a day to honour US veterans of all wars. How Should You Wear Your Poppy? In recent years there has been a story doing the rounds on social media which gives precise instructions for wearing your poppy with the leaf pointing to 11 o'clock. I spoke to the Royal British Legion to check this story after receiving complaints that our poppies' leaves were pointing in the wrong direction. I was assured that there is no "correct" way to wear a poppy except "with pride". You can buy poppies and many poppy-related products while contributing at the British Legion's Poppy Shop. 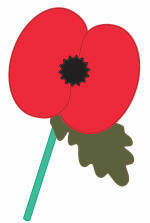 Order or download a Remembrance Day Learning Pack and Posters in English and Welsh. "If we are to maintain our peace and freedom, we must always remember."